Capital, the investment arm of BDC (Canada). 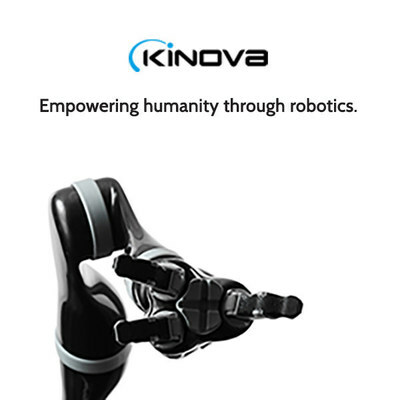 more value for themselves and our society," said Kinova CEO Charles Deguire. element of complementary experience necessary to mentor Kinova's growth. collaboration robotics and are proud to support such an innovative company,"
said HoChan Lee, KTB Network's managing director. technologies in more conservative markets. to the healing of patients." and the United States, which becomes easier to accomplish with these funds. Most recently, Kinova established a new office in Germany earlier in 2017.
production efficiency through digitization and robotization of its operations. provide better outcomes for their patients. About KTB Network Co., Ltd.
serving the financing needs of various stages of companies. About Keira Capital Partners Inc.
whom have significant experience in business and financial transactions.